Feng Shui home and business consultations. Ready to change your life for the best with a Bazi and Feng Shui consultation? Ready to connect with your house, gain support in your work and relationship, know your timing and best career and finally be in the flow? Then get in touch now! I here invite you to admire the simplistic beauty of this email address that conveys both my first name and my website name, all at once. Astonishing! And now you can also start practising pronouncing Laurent until we meet. It’s more or less Lo-o-ruan but people have certainly been creative over time, so surprise me! When you contact me by email for a Feng Shui consultation it would be hepful if you could mention the type of property you would like a consultation for (flat, house or business and which size), the people concerned, your location and the deadline. 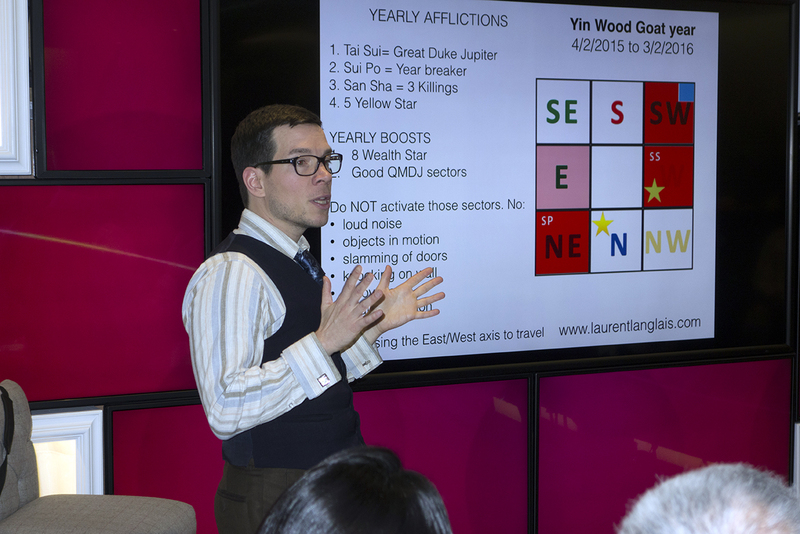 Feng shui master, Chinese astrology expert and author based in London, Laurent Langlais is a man for all seasons when it comes to metaphysics. He offers his services worldwide in home feng shui consultations, business feng shui, Bazi/Four Pillars analysis, consultation and yearly predictions. His range of service also cover auspicious dates selection for marriage and business opening. Last but not least he is an influential Tarot reader with years of experience. ← Feng Shui luck boost.